These high quality pull-on waterproofs from reputable German brand Buse are made from heavy-duty PU-laminated polyester so the suit should keep you dry and stand up to the rigors of long hours in the saddle. There’s a mesh inner lining to help you get them on and off. The suit, priced at £71.99, features reflective strips arms, back and legs and an inner waterproof pocket. A diagonal front zip ensures getting the suit on and off is quick and easy, while a long zip on the calf ensures you can get the legs over your boots. 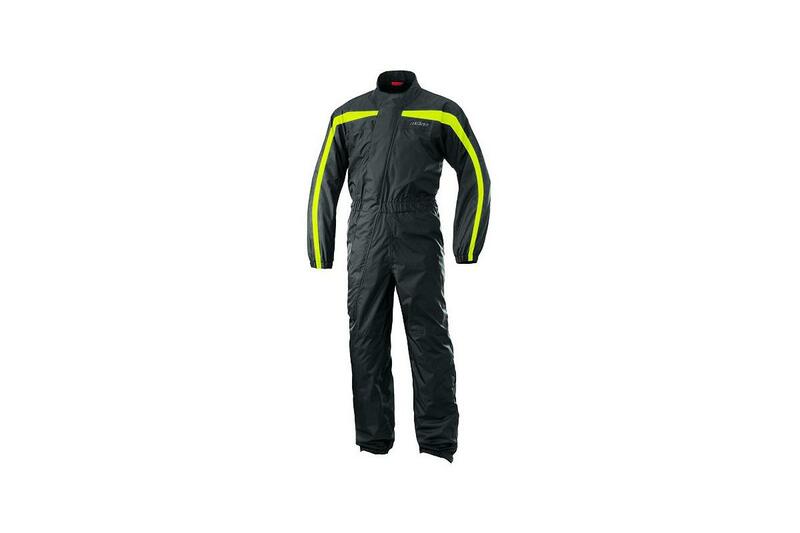 Unlike other rain suits at this price point the Buse doesn't come with a storage bag.